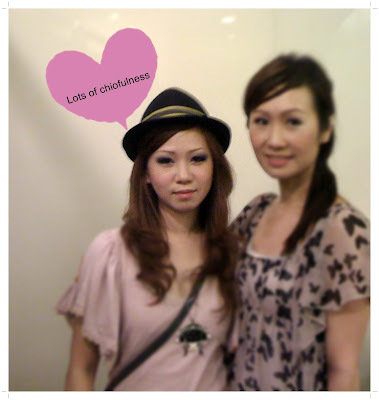 After my trial makeup and shoot at Cavenagh bridge, I met Joyce and Clara at Butter Factory. Clara is so Japanese. I so like her hair leh. The bartender thought she is one. 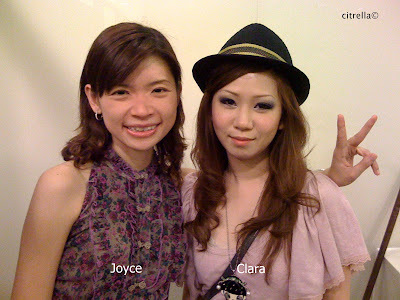 Joyce looked very pretty with her permed eyelashes and natural makeup. It's our first time clubbing together. Clara suggested St James @ Boiler Room the next time :)) Elin and Yvonne joined us much later but we had to go already. is definitely nice seeing u again sweetheart! thanks for the awesome introduction! joann is definitely a fun company~!